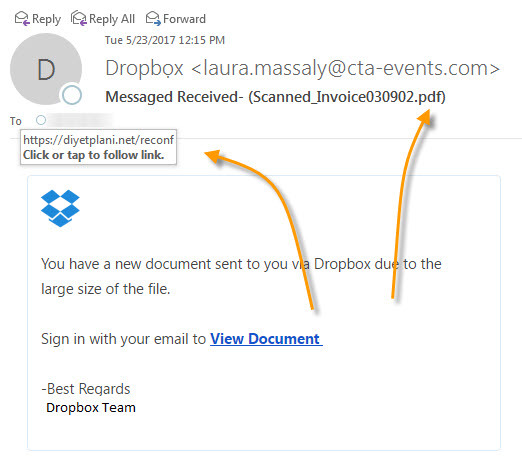 We are seeing a slight uptick in both fake Word documents and fake PDFs. These things should make you run. Though, this is not a malicious code loader, it is a phishing scam. One thing be careful of is in the email, that “link” is not the actual link. There is an image, you can see the faint outline. Click anywhere there and you’ll go where you don’t want to. Don’t panic, again, nothing loads onto your computer, but you’ll see the following. 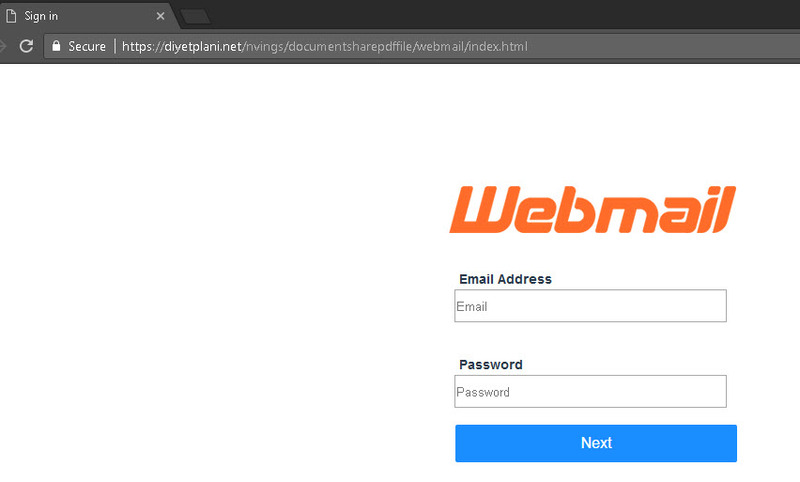 Note it looks nice and official….though, you can see the URL is NOT dropbox. Both the Outlook and Office 365 look nice and official also (identical actually)….though once again, you can see the URL is NOT outlook.com nor office 365. AOL looks nice and official again….though once again, you can see the URL is NOT to AOL.com. They are trying to cover all their bases, so here is the Yahoo.com fake login….though once again, you can see the URL is NOT to Yahoo.com. This is their catch-all if you don’t have the above accounts, they hope you’ll happily put your credentials is this real looking web mail login….though once again, you can see the URL is NOT to any web mail.